How do we fix Irish Education? I wrote this article for the summer edition of Forum on how education in Ireland is being hit by the economic crisis and the GERM, and teacher and union responses to that onslaught. Thanks to Howard Stevenson for the invitation to contribute. Information. It’s what teachers trade in. We gather it, we gauge it, balance it, we pass it on in the hope that we have taught our students how to best use it. That’s what this blogpost is about, information. You teachers, ASTI members deserve to make a decision about this latest offer without prejudice. The assertion that we are voting on the same offer again needs putting to bed first. It is plain to see that this offer is different, our rules say we must put it to a ballot. That is it. Voting on the same offer may arise if we reject this time and we have to revisit the decision if further industrial action doesn’t have the desired effect. It is reasonable in my view to assume that our negotiators have achieved something no other union has achieved: an offer that goes beyond what the Haddington Road Agreement originally held. Holding out now for more blood from the stone in my view is not a strategy. What the Government plan to do in the event of a rejection of this offer is clear: they intend to impose an unpaid, compulsory Supervision and Substitution scheme from mid-January. Our response to that will have to be a stepping up of our industrial action. There are a few options open to us at this stage: the first is refusing to do that S&S and probably closing schools in the absence of student supervision (this happened during the 2001-2 dispute); we could be locked out (as a history teacher, for me this would be both ironic and welcome in this centenary year) or possibly replaced by outside supervisors; we would then be faced with taking strike action. There are those who want to vote no and claim that these are not the only options, that we could volunteer to supervise outside the scheme to keep schools open (this for me seems the same as voting yes), and there are those who want to vote no and never wanted the word ‘strike’ to appear on the ballot paper back in September. I will work to rule, refuse to do S&S in the circumstances outlined above and I am ready to go on strike if there is a no vote but for people to say these are not part of our strategy in the event of a no vote is not true. From the beginning some of us have insisted on keeping the ASTI response to Junior Cycle reform out of the tangles of the HRA. That has been achieved. If they were enmeshed and members accepted the offer, there would be no alternative but to accept this deeply flawed, rushed and ill resourced reform. As it stands now we can still resist it, constructively or even destructively if we aren’t listened to by the Minister. The course of that resistance will be in our hands, where it belongs. This offer contains too many promises for my liking. There are various committees, expert groups and consultation groups as well as the promise of all cuts being restored in time. I don’t trust them. But it will be up to us on each of those committees and in every negotiation to get the best for our members as soon as we possibly can. I do trust our people, if we don’t trust our own, we can pull down the shutters now. CEC has recommended a rejection of the offer. I am a member of CEC by virtue of my election to Standing Committee. I would have preferred if as a ‘union leader’ to have been able to consult the members in my Branch and in my Region in advance of going to that CEC meeting on Saturday, November 16th. By that time Standing Committee had spent Monday, Thursday and Friday of that week in session, isolated from members for the most part and most CEC members didn’t get documents for the meeting until the Wednesday before. The decision was made too quickly, without time to consult and without time to consider our options. Maybe CEC would have made the same decision, but an extra week would not have hurt us. So. There are teachers who wanted to preserve the pensionable payments they made out of their Supervision and Substitution allowance and they are rightly aggrieved at being forced to do S&S. There are those who feel strongly that they are being asked to pay not to do S&S when the never did it in the first place (I’m in that situation). If these are the only considerations for you and you feel you are not being fairly treated, you should reject the offer. There are of course people who voted yes the last time. Maybe they want earlier CIDs or a better pay scale, maybe they want something done about casualisation or maybe they don’t want to fight any more. These people are our members too and if there is a no vote we will have provide these people with a home and bring everybody with us. Writing them off is a recipe for disaster. But there is another more troubling group then these ‘hard no’ or ‘hard yes’ voters, the 45% who didn’t vote the last time. When all this comes to an end, and it will end one way or another around a table somewhere, we have other issues to deal with. One of the biggest is the disengagement of many of our members. When almost half of our members don’t vote and branch meetings are sparsely attended in a crisis we need to find better ways to speak to all our members and involve them in our union. Because teachers need a union but a teacher union needs its members engaged and involved. Below I’ve laid out the facts, complicated as they are, about what is on the table since a fresh offer was negotiated in November between the ASTI and the representatives of the Department of Education. It represents the best on offer right now, you don’t have to like it, but you just have to read it, decide and please vote. any teacher can opt out of S&S with the exception of those who have being putting a portion of their S&S payment into a pension fund in 2012/13 school year. For these ‘pensionable teachers’ S&S is compulsory. the cut that follows from an opt out is €1769 p.a. for pre-1 January 2011 entrants or €1,592 for post-31 December 2010 entrants. If you opt out the cut will be permanent and you cannot subsequently opt in and out of S&S. 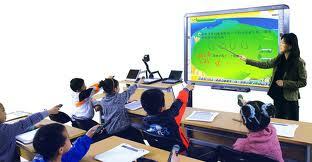 the ‘adjustment’ takes effect on January 1st 2014, teachers will have one month to decide. the promise of restoring the S&S payment in two halves in 2017 and 2018 to everyone, whether opting or out, is still there. This restoration will amount to €796 x 2 (€1592) and is a permanent pensionable restoration. effectively opting out for a pre 2011 teacher would cost €1769 in 2014, 2015 and 2016, €973 in 2017, €973 in 2018 and €177 every year until retirement except that 1769 is a fixed figure whereas the rest of salary will continuing growing. There is an acceptance that the hours are only essential for staff meetings, parent-teacher meetings and school planning. a review of what the hours are to be used for would take place involving the Department, the unions and management bodies in early 2014, and it’s recommendations are to be implemented in Sept 2014. The review will consider if the hours can be used by individuals, groups or on a whole-school basis. A working group is being set up on reform to recommend how to address the concerns raised by the ASTI. The initial meeting would be with the ASTI, meetings with other parties will follow. all original incremental dates in HRA will be reinstated. The HRA applies a 5.5% pay cut to all earners over €65,000 pa. This cut applied to those within HRA was reduced by €1769 because the S&S payment was no longer available. the above cut is to be restored in 2017/18 for all teachers who have accepted the offers. Those who have signed up to HRA and joined the profession in 2011/2012 have a better pay scale, it can amount up to €2,466 per year better than the equivalent ASTI teacher if the worse scale and FEMPI cuts are combined. these new entrants would get a refund of the difference between FEMPI/worse scale and new pay scale backdated to July 1st. the requirement for a CID reduced from 4 to 3 years from September 1st 2013 onwards. an expert group on the issue of fixed term and part time teachers will meet in January 2014.
after the consultation a panel for such teachers will be in place for next September. there is a provision for 300 Assistant Principal posts to be provided this year and further post from next September. Tuesday April 16, 2013. Finally, a good day to be an Irish Trade Unionist. Even better, a good day to be a member of a teachers union. It was fitting that the message that cutting wages reduces spending power and weakens the economy came from workers. That the coalition find it hard to understand why public servants found ‘Croke Park 2’ difficult to stomach is itself hard to understand. We are told that people in private sector employment have taken pain too, that if they were asked to vote on further cuts they also would have said no. Why weren’t they asked? Because many of them aren’t in trade unions, the power of our No vote comes from the power of our unions. And the three teacher unions, the ASTI, the INTO and the TUI, find themselves in a position they’ve not been in for a generation, they have huge goodwill among members, it is rare for all teachers, or indeed the huge majority in my own union the ASTI to be on the same page. The task for unions leaders now is to bring the members with us, to do that delicate job of leading and following at the same time. I’ve said before that teachers have felt for a generation that they have no real say in shaping their work lives but there is a solidarity within schools now, and the teacher unions are right to capitalise on that. A strong approach to resisting further attacks on pay and conditions is essential. But let’s get to the ballot. There are already signs of scaremongering from government ministers: that ‘we have no money’ , that there will be deeper cuts (remember D-PER – Department for Public Expenditure and Reform), that there will be compulsory redundancies, that there’s no need to ballot for industrial action because a deal will be done before we can act. Remember though these are the same people who say ‘there is no alternative’ to ‘Croke Park 2’, that teachers should ideally work a forty hour week. These are the people who started the last round of negotiations with a call for five extra hours teaching (look what happened in Denmark when they tried this), who still threaten all public servants with cuts to salaries across the board and who knows what to conditions. These are the same elected representatives who wish to ignore the votes of two-thirds of public servants and over 75% of all teachers. So much for democracy. Why should we ballot then if our political leaders prefer to ignore us, prefer to threaten or frighten us? The first reason is to send a message THAT WE HAVE HAD ENOUGH. That to single out public servants in this way is dishonest, short-sighted and vindictive. The least we can do is remind them that when teachers speak together we shout loudly for fairness and equity. The second reason is to allow our unions to act if and when the coalition announces a unilateral cut in teachers’ pay in July. Don’t believe them when they say we’d be better off caving in and accepting a ‘tweaked deal’, 85% OF US SAID NO, we have strength in our numbers. For the three teacher unions anything less than a resounding yes vote will be a sign for those in the newspapers and in government who wish to undermine us at every turn that we were weak or disunited. A Yes vote from members of the ASTI, INTO and TUI will strengthen teachers’ hand in any negotiations to replace ‘Croke Park 2’ with a fairer, more reasoned agreement. 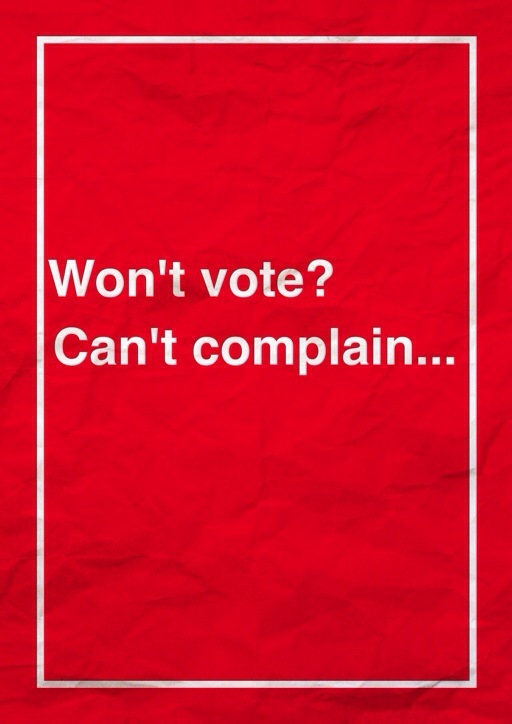 Voting no this time will give them the nod to cut again and again. We need that Yes because we need a ballot to embark on any industrial action, and we must not be the first to break the existing agreements, let them do that by changing our conditions or cutting our salaries. A Yes will give us the authority to direct members to withdraw from whichever activities we decide or indeed ultimately to take strike action. Whichever of those actions are undertaken, with the power of a strong Yes vote we will undertake them together, united and organised, as unions should be. The wording of the ballot allows teachers to respond to the government in a measured, co-ordinated way. We could stop doing ‘Croke Park hours’, the bane of many a teacher’s life; we might not cooperate with new programmes being introduced to schools; we could work to rule or ultimately go on strike. Gradual escalation would be preferable, but strategy will be decided, as usual, after consulting members. There is now also an opportunity to rebuild teacher unions. We all talk about how best to reach out to members at school level and how to move beyond the minority of activists to make teacher unionism relevant to much wider groups of workers. This is how: bring them together to oppose the latest attack on our profession, through solidarity between teachers and between their unions. Despite the apparent unity between teacher’s unions on the rejection of the latest by the coalition to cut pay and worsen conditions, there is still much to concern teachers. The increased presence of data collection, the spectre of standardised tests, the prospect of teachers being subjected to further deep cuts to pay and the worsening of conditions all jostle for the attention of teacher activists. 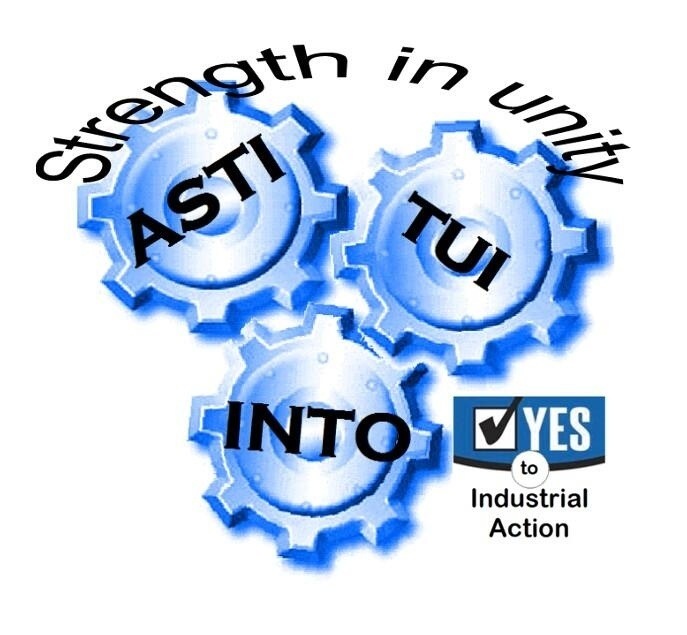 The three teachers unions, the ASTI, the INTO and the TUI have found common ground at least on the attack on the working wages and conditions of work, good old fashioned union concerns. A strategy for unity on these issues make sense for teachers. The rejection by those three unions of ‘Croke Park 2’ by significant majorities (three of the highest ‘no’ votes of the public sector unions) shows they share at least a strong case for asking for the offer to be renegotiated. Teachers’ unions are at a crossroads in their history. 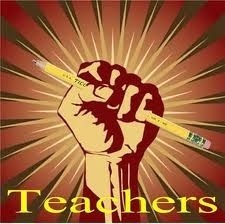 Teachers need their union, unions needs unity and we need unity on this issue between unions. We hear about leadership all the time. In politics it’s used as a cop out when you want to make a decision without listening, in life it’s expounded on by ‘dragons’ with four hours of sleep a night and a ‘headcount’ to reduce. But what is leadership in education? Sure, in our classrooms and lecture halls we lead from the front. We’re that performance led type leader who leads by doing, showing, explaining, coaxing. Dedication to the subject, the methods we use, the technology we introduce, the voice, the heart, the enthusiasm all count for students and for ourselves. But what of leading our schools, our colleagues, the communities that form around the buildings we visit everyday to lead students as set out above? The effort to do those things right that makes us leaders in the room often in the early days of teaching to focus exclusively on the students, rightly. Around us though in those early days there have to be people who show by professional example what it means to be a teacher. I had those people around me, they made me feel safe and gave me courage, when I had a problem they said: ‘here’s what you’ll do…’ And I did it and it worked and I’m still doing it. So. There are classroom leaders and there are staff room leaders, and they crossover, they can be the same people, that’s a school you know is work. Then there are teachers who become managers. They have to sink or swim, learning how to manage teachers, parents, students, as well as finance and set the tone for a school is no small task. In Ireland we don’t tend to see these managers as drivers of curricular change, but all that might change if we get the reforms some of them want: on top of reporting to the National Education Welfare Board, the Department of Education and Skills, not to mention the Boards of Management of their own schools the proposition of some Principals having control too over the curricular direction of a school at Junior Cycle fills some of them, and some of those they lead, with dread. Of course the further away from the classroom these leaders are the less their job is about education and more about being perceived as a leader. I’m sure the Minister for Education himself, Ruairi Quinn would say he is ultimately the leader in Irish education. But swayed as he seems to be by business, the media or worst of all the money men in Finance and the Department of Public Expenditure (was there ever devised a more appropriate acronym for people who cut and cut than D-PER? ), he doesn’t seem to lead so much as follow. He and his department don’t seem to bother with what the views of people in classrooms think. We have reached a roadblock that threatens standstill when a minister can ignore teachers entirely an unilaterally change the secondary school curriculum without even giving notice to teachers. Why were teachers removed from the dialogue on education reform? How did education leaders let this to happen? Who stood up for education? We teach in a world where the outside influences bang on the doors of our schools, and they have done for years, not least the deepening social consequences of the economic disaster no student of ours had a hand in. These and other political decisions like those mentioned above complicate the job of teachers and alienate them from the solutions. We resist so little though. We are accused so often of lying down before these threats. That is why we now need to strengthen our resolve through the only educational leadership I haven’t mentioned so far, our teachers’ unions. Battered, derided and ignored by many teachers without doubt, the teacher unions remain the only leaders that will listen when we shout, that will act on our behalf, nationally. That is why the ASTI has filled the gap the Minister left when he decided to shift the ground beneath us on Junior Cycle reform by asking teachers what they think of the plan. They aren’t happy. They want leadership and they know that only by asking teachers who actually teach can you lead them forward. They also speak of demoralisation and being cowed into accepting whatever is thrown at them. Only through concerted and united action will we able to say we stood up for education, that we were leaders. Let’s leave the economics gurus to their crystal balls and the media to ‘top stories’, it’s time for educators to take back education. I’ve spent a few weeks rereading and rereading an article from David McWilliams about education. This post won’t intend to pick a fight with Mr McWilliams, because while I know nothing about economics, I don’t publish or speak publicly on the topic. Unfortunately, Mr McWilliams knows nothing about education, but doesn’t have the reserve to leave it to those who are in the know. His article begins by stating that the time has come to discuss teaching and education so that we can ‘get the best out of our people’. Line one: first mistake. 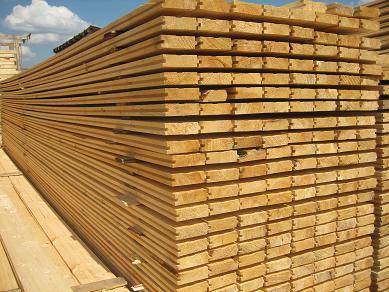 Education, despite what some might have you believe is not a factory in which ‘our people’ are turned out in regular form like planks from a saw mill. Rather schools are places where individuals move at their own pace, encouraged by their teachers and their parents, and where achievement is unmeasurable, a bit like trying to calculate how an economy will perform, it’s not an exact science. The education system ‘as currently devised’, Mr McWilliams asserts is based on ‘rote-learning,… a grind based reward system’ and it ‘terrorises many hundreds of thousands of children, scarring them with stigmas and insecurities which they carry with them for life.’ Strong stuff, but lazy thinking from start to finish. The education system isn’t based on rote learning, in fact students with independent thought are reward for their work above a baseline understanding of facts and figures that any economist could, or should, grasp. Strikingly he assumes that success for students depends on them getting grinds to supplement their class work, it must appear so from Mr McWilliams’ vantage point, let me point out that many students do not need grinds because they work well within the schools they attend and their parents don’t see the need to undermine the strong work done by their children’s teachers in schools which are under resourced, and under staffed. The idea that thousands of people are left terrorised by their education would be laughable if it did not try to discredit the work those same thousands have done to succeed in whatever way possible. We are used to hearing economists declaring unsupported ideas like half-cocked hunters firing blunderbusses skyward in the hope of felling a single bird, but the idea that there are ‘hundreds of thousands of brilliant Irish people walking around today who believe that they are not brilliant’ because of the education they received must rank up there with the bank guarantee as a half-baked theory. ‘How many exceptional people do you know who will say to you “I hated school”?’, he asks, who were ‘stigmatised’ by their education into believing in a ‘single-answer narrow, group-think’. My answer? How many people have been stigmatised by their banks, how many have been subjected to the groupthink of property speculation, and how many schools teach banking, property speculation and financial mismanagement? The desire to blame education for having a punish/reward system that creates self-consciously insecure people or over-confident zombies would hilarious if it weren’t so awfully pass-remarkable. Teachers do not as Mr McWilliams states ‘drone on about the need for the education system to create a good educated workforce’, teachers ‘drone on’ about education, education, education. Sometimes even, education as an end in itself, imagine!. Rather it is the economists, the politicians, the business people who demand an education system that puts kids in perfect round holes so they can have their perfect drones for their money-making schemes. Education is the opposite of all that. Education sets children free, a point Mr McWilliams makes repeatedly about his own story, lucky to get a good education he was prepared to take the chances that came his way, and flourish. He would do better to think on the stories of those kids who won’t get those chances because they’re stuck in classes of 30+ in primary school, or who won’t get to read the subjects they love in secondary school because one cut or other or one ‘reform’ or other destroyed that chance. Sure the economy changes all the time like he says but so do schools, basing his opinion of schooling today on a conversation with his daughter about subject choice in first year and his own recollection of streaming in schools in the 1970s and 80s (a practice completely discredited 30 years later) is so wide of the mark that it invites one to wonder what would happen if we applied the economic thinking of the 1980s to our current mess, what would happen? Coalition implementing austerity then, coalition implementing austerity now: and it’s schools that foster group-think? And for the record any school that ‘implicitly or explicitly’ labels students as ‘stupid’ or encourages other students to think that way isn’t a place I’d like to work or send my children to be educated, in the 1980s when I went to school myself, or indeed ever. It’s pretty desperate to see Mr McWilliams writing that he has no answer when his children find school unchallenging. Part of the job of schools is to encourage students to reach outside themselves, and if a parent isn’t on board with the school it makes the kid’s life far more difficult. The creativity he marvels at in children (they play computer games) is something good schools harness, but part of school too is taking the time to challenge ourselves to solve the problems we find more demanding and outside our ken. In the end, Mr McWilliams’ criticisms boil down to a dislike of schooling back in the day. The problem of reform of the method of assessment today, as Junior Cycle reform proposes, is that it drives a wedge between teachers and students, it puts parents and teachers at odds over the way the students are rewarded and it insists that paperwork at local school level is more important than an external national certification programme.